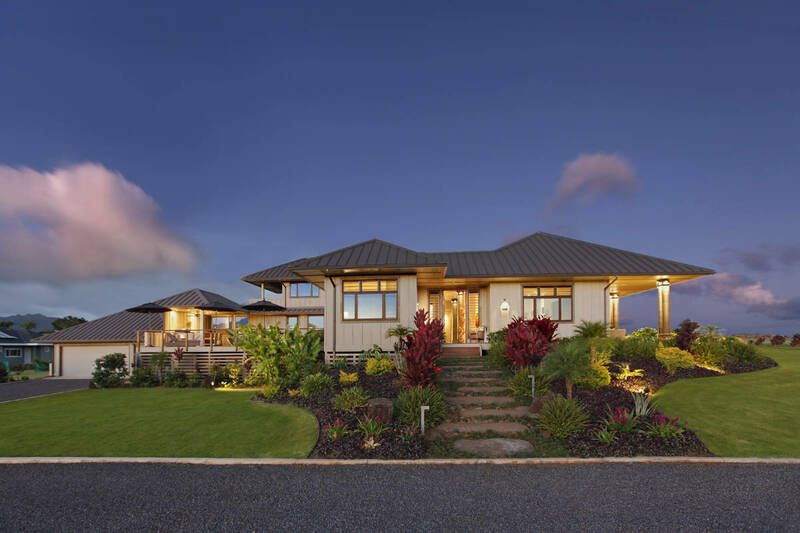 Hale Maluhia, or ‘peaceful’ in Hawaiian, custom estate home featuring island living through excellence in functional simplicity and passive green’ design. 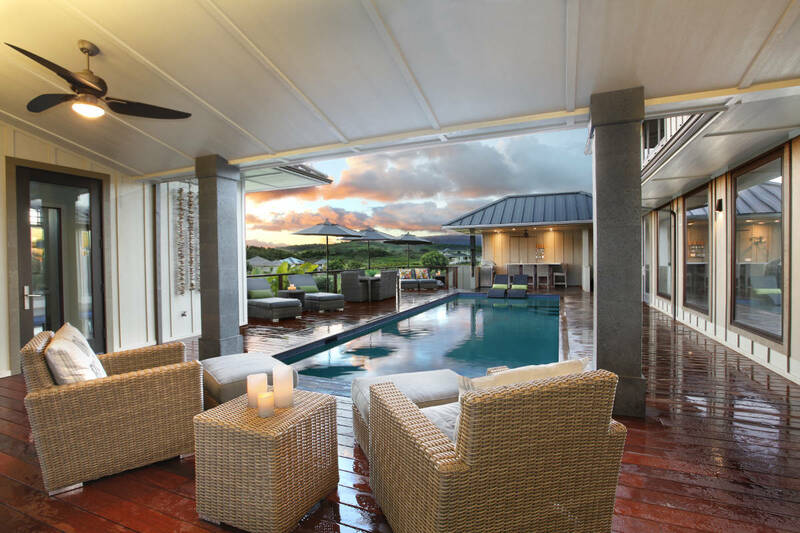 The indoor-outdoor living spaces take advantage of natural trade-winds, daylighting, and landscape to create a true sense and tranquility on this spacious one acre lot. 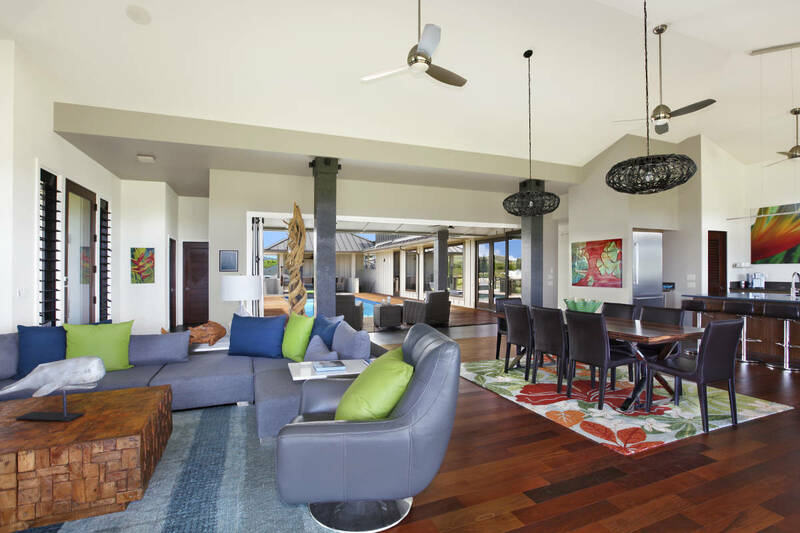 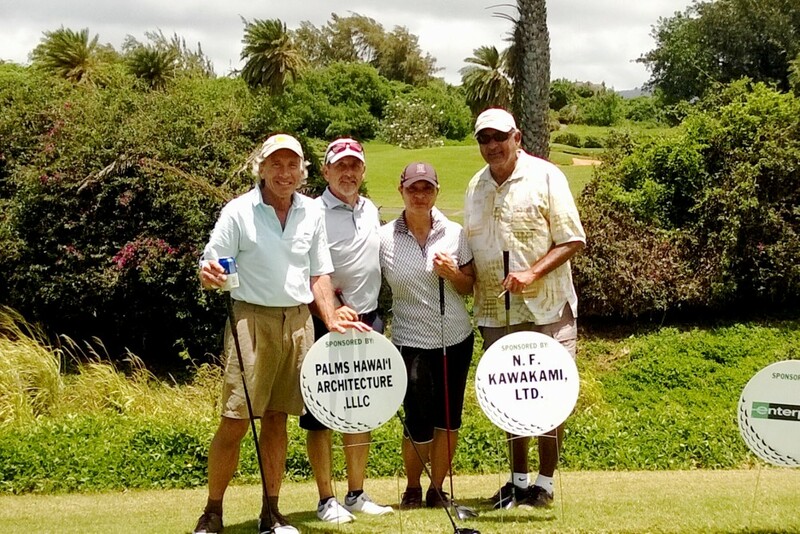 Clients enjoyed visiting Hawaiian Islands and Pacific Lifestyle for years and commissioned for Private Residence to support Ultimate Hawaii Resort style living. 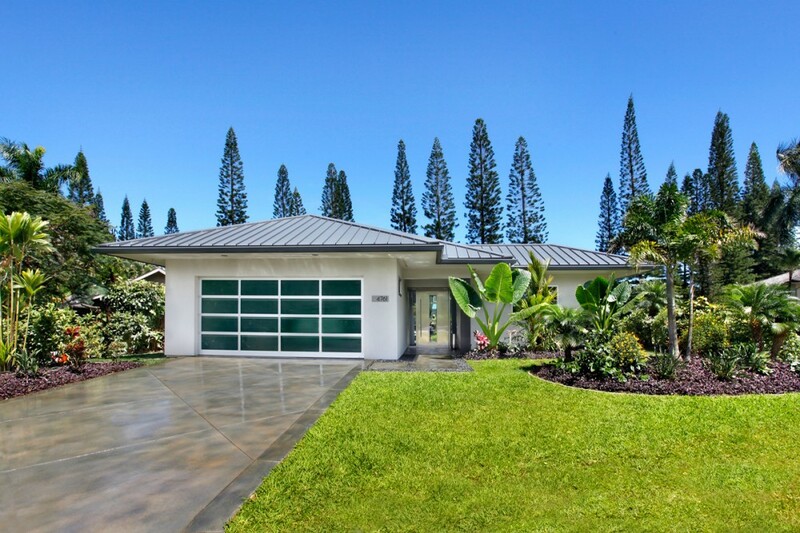 Careful attention was paid to sunsets, sunrises, trade winds and views on property with idyllic setting on South Shore of Kauai in the midst of golf course communities and Pacific Ocean. 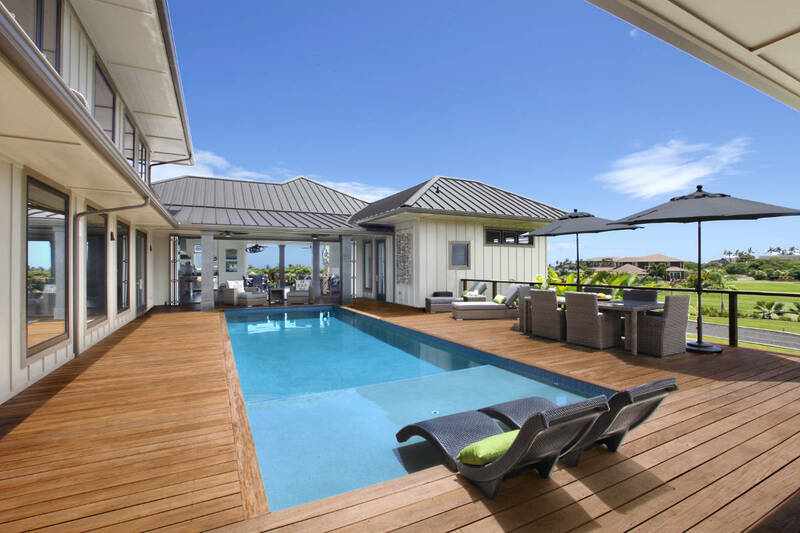 The synergy of modern tropical pavilions centered around pool side and sustainability meeting family function and weather resistant finishes, creates an elegant style, giving the house a distinctive and expansive character. 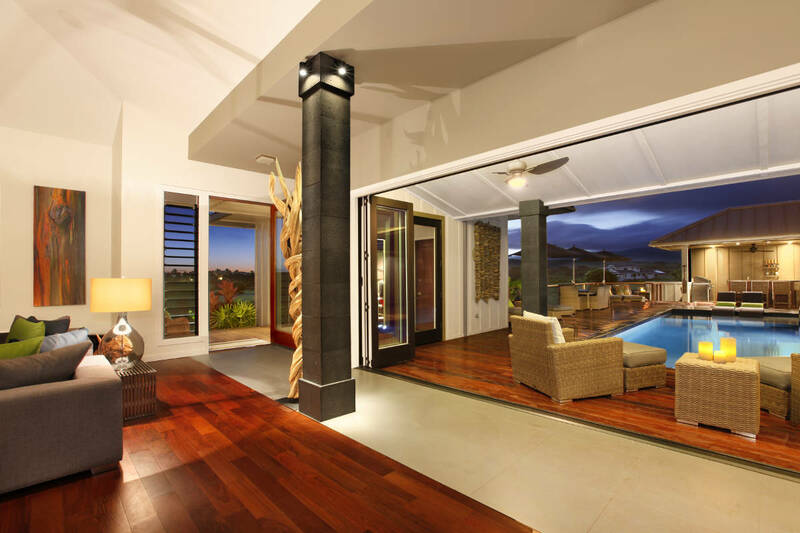 Use of Pacific hardwoods, indigenous lava rock veneers, retractable doors embody the urban-tropical architectural style.